With the iPhone 6 and public launch of iOS 8 mere weeks away, one of the first products to take advantage of Apple’s new HomeKit platform has started shipping. The device was first shown off at last year’s All Things D conference, and was one of the first partners in Apple’s HomeKit certification program, in addition to Hue Lux light bulb-maker Philips, and Nest-rival thermostat maker Honeywell. It retrofits to existing Single-Cylinder deadbolts, and allows owners to send virtual keys to anyone they want to be allowed access to their home, whether this be a guest, maid, etc. “You can [even] specify the duration that the August keys are active for before expiring, or disable them at any time,” the company notes. While currently the device requires a smartphone or other computer to work, it is quite possible that it will also be made to work with Apple’s long-awaited iWatch wearable device. I’ve long argued that Apple is uniquely positioned to be a major player (maybe the major player) in the Internet of Things smart home game, so it’s exciting to see the first steps being made to prove this assertion correct. 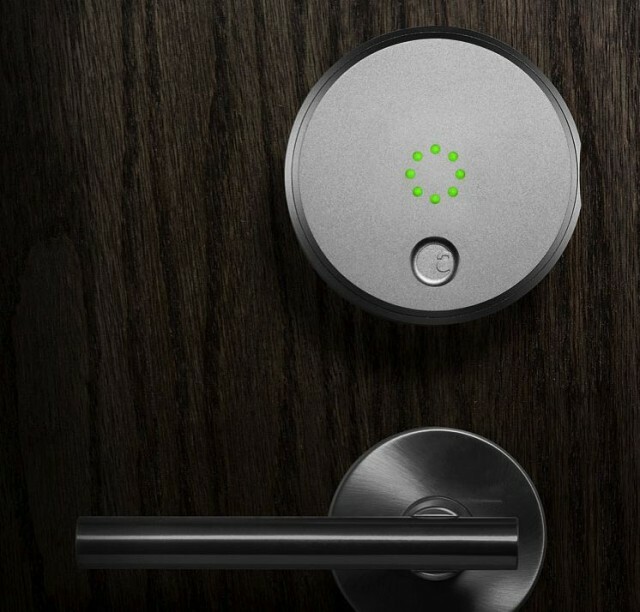 The August Smart Lock costs $249.99, with nothing in the way of monthly or usage fees for the key management service.